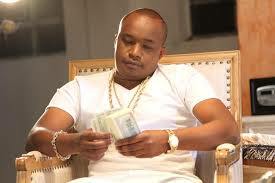 Business magnate and super gifted singer Charles Njagua widely known as Jaguar recently visited Kisauni area in Mombasa and a NACADA supported rehab center, accompanied by the Lover hit maker Kevin Bahati and Director Ngao. The flamboyant soft spoken singer seems not to been aggravated by his employer and NGO organizations after his visits. I was in mombasa over the weekend and was saddened by what I found. With over 2.6 million drug addicts in kenya, NACADA officials are very busy holding costly boardroom talks while addicts receive no education and no medical support to get them out of this never ending drug scourge. To add salt to an injury, I discovered an NGO who’s name I will withhold for now supplying the addicts with needles purporting to reduce transmission of HIV as opposed to NACADA distributing aid needed to get these addicts out of the mess they are in. I also propose that we impose very harsh penalties to anyone found peddling drugs and especially to minors who are also part of the 2.6 million addicts we have in our country.